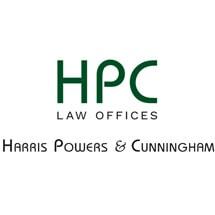 At Harris, Powers & Cunningham in Phoenix, Arizona, our lawyers have a passion for helping people who are suffering serious injury from trucking accidents, surgical errors, and more. We are one of the oldest and most respectful medical malpractice law firm's in Phoenix. We have helped countless individuals and families get the compensation and justice they deserve after life changing injuries resulting from an accident. Our law firm serves clients throughout Arizona including, but not limited to the cities of: Phoenix, Ahwatukee, Apache Junction, Avondale, Carefree, Casa Grande, Chandler, Cottonwood, El Mirage, Flagstaff, Fountain Hills, Gilbert, Glendale, Goodyear, Kingman, Litchfield Park, Maricopa, Mesa, Paradise Valley, Peoria, Pinetop-Lakewood, Prescott, Queen Creek, Scottsdale, Sedona, Showlow, Sun City, Sun City West, Surprise, Tempe, Tucson, Verde Valley, Wickenburg and more.